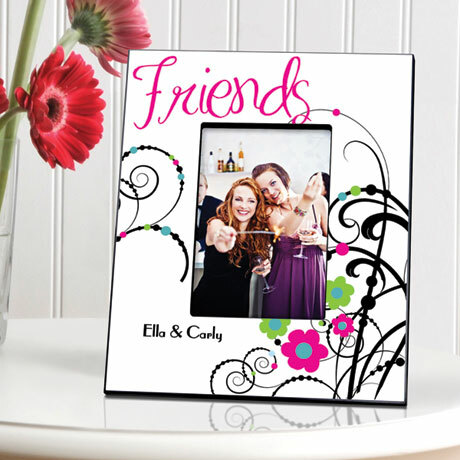 Best buds look great in one of our perky personalized Cheerful Friendship picture frames! This frame truly displays the many colors of friendship. Great for graduation or bridesmaid gifts! Frame measures 8" x 10" and holds a 4" x 6" picture. Personalize with one line up to 25 characters. Please allow 2-3 weeks for delivery. Item can only be shipped within the Continental US.